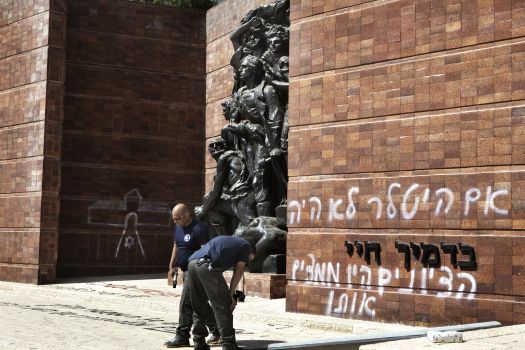 Israelis were stunned to discover this morning that Yad Vashem, their national museum dedicated to remembering the Holocaust, had been vandalized with anti-Semitic and anti-Zionist graffiti. 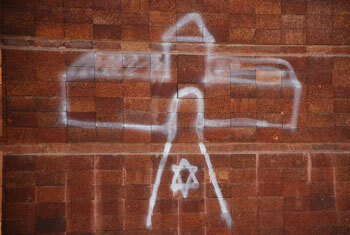 The Warsaw Ghetto Uprising Remembrance Wall that greets visitors to the museum was among the sites vandalized. Initial conclusions are that the perpetrator(s) were anti-Zionist haredim, rigidly Orthodox Jews who reject the creation of the modern State of Israel. 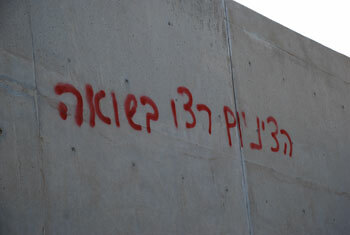 It is sad and ironic that a museum and research center dedicated to remembering and educating the world about he worst hate crimes in human history should itself be victimized by such vulgar expressions of intolerance. 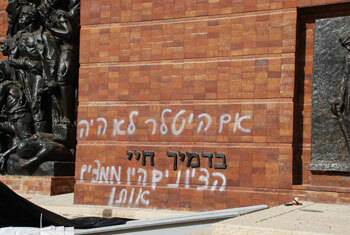 Below is a video of Yad Vashem’s Chairman, Avner Shalev reacting to the vandalism.